ENSENADA, Mexico—Following the second of four races in the 2018 SCORE World Desert Championship, 90 of the toughest racers in the world remain in the hunt to earn 2018 SCORE Milestone Awards. 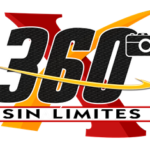 In early June in Ensenada, Baja California, Mexico, Round 2 was held at the 50th BFGoodrich Tires SCORE Baja 500. 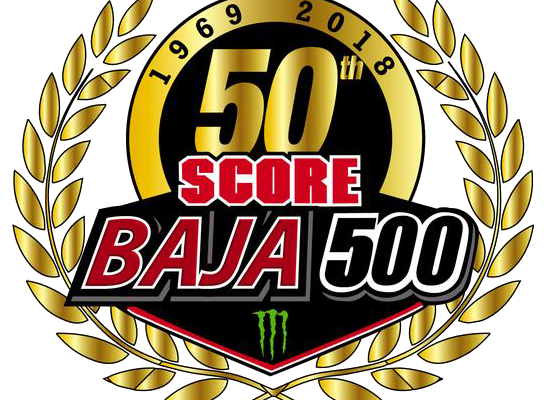 On what was called the roughest, toughest and longest race course in the history of the legendary SCORE Baja 500, a total of 321 entries started and 187 officially finished over the race-record 542.12-mile course in the Golden Anniversary race. SCORE is presenting these prestigious awards to the world’s toughest desert racers for the 33rd consecutive year. The SCORE Milestone awards will be presented to the car, truck, UTV drivers and motorcycle, quad riders who finish every required mile in the 2018 SCORE World Desert Championship. The season-opening SCORE San Felipe 250 was held on a race-record 319-mile course. In two rounds, racers have been required to cover 861.12 miles so far this season. Leading the way in the chase for 2018 SCORE Milestone Awards are 17 superlative stallions in the featured SCORE Trophy Truck division, one in the new SCORE TT Legend class, four in the unlimited Class 1, eight in Trophy Truck Spec, seven in Class 10, nine in Pro UTV FI (Forced Injection), four in Pro Moto Unlimited, five in Pro Moto 30 (riders over 30 years old) and three in Pro Moto Ironman (solo riders). Among the 17 SCORE Trophy Truck thoroughbreds who have galloped through every challenging race mile so far this season are: Rob MacCachren, Las Vegas (No. 11 Rockstar MacCachren Motorsports Ford F-150), Carlos ‘Apdaly’ Lopez, Tecate, Mexico (No. 1 RPM Racing Chevy Rally Truck), Cameron Steele, San Clemente, Calif. (No. 16 Monster Energy Desert Assassins Chevy Silverado) and San Diego’s three third-generation McMillin family racers Luke McMillin (No. 83 Ford F-150), Andy McMillin (No. 31 Chevy Silverado) and Dan McMillin (No. 23 Ford F-150). Celebrating its 25th year since it was introduced by SCORE’s then-owner Sal Fish in 1994, SCORE Trophy Truck is the sport’s marquee racing division for high-tech, 950 horsepower unlimited custom trucks. The lone racer still chasing the award in the SCORE TT Legend class for SCORE Trophy Truck racers over 50 years old is Gustavo Vildosola Sr, Mexicali, Mexico (No. 12L Ford Raptor). Among the racers still in the hunt for the coveted awards from Class 1 for unlimited open-wheel desert race cars are Justin Davis, Chino Hills, Calif. (No. 185, Jimco-Chevy) and Brad Wilson, Long Beach, Calif. (No. 153, Jimco-Chevy). Leading the eight racers in Trophy Truck Spec are Bryce Swaim, El Cajon, Calif. (No. 242, TSCO-Chevy), Elias Hanna, Ensenada, Mexico (No. 200, Chevy Silverado) and William Hedrick Jr, Vicente Guerrero, Mexico (No. 295, ID-Chevy). Still in the chase for these awards are three drivers from the super-competitive Class 10 for single or two-seat open wheel desert race cars with limited engines including Broc Dickerson, Brawley, Calif. (No. 1023 Alumi Craft-Chevy) and Todd Winslow, Clovis, Calif. (No. 1081, Alumi Craft-Chevy). Among the nine racers still in the hunt in the Pro UTV FI (Forced Induction) class are Wayne Matlock, Alpine, Calif. (No. 2971, Polaris RZR XP4 Turbo), Marc Burnett, Lakeside, Calif. (No. 2900, Can-Am Maverick X3) and Brandon Schueler, Phoenix (No. 2919, Polaris RZR XP4 Turbo). Leading the motorcycle classes, Pro Moto 30 (riders over 30 years old) has five racers still pursuing 2018 SCORE Milestone Awards. This sturdy group of riders is led by the team headed by rider of record Ryan Liebelt, Reedley, Calif. (No. 300x Yamaha WR450F). Ryan Arciero, Lake Forest, Calif.
Chris Miller, La Jolla, Calif.
Justin Davis, Chino Hills, Calif.
Brad Wilson, Long Beach, Calif.
Bryce Swaim, El Cajon, Calif.
Sara Price, Lake Elsinore, Calif.
Gonzalo Pirron, Quartz Hill, Calif.
Scott Biernot, Hermosa Beach, Calif.
Cesar Cuevas, Chula Vista, Calif.
Harley Meservey, Coos Bay, Ore.
Bruce Yee, Chula Vista, Calif.
Jeremy Davis, Chino Hills, Calif.
Erick Kozin, Yorba Linda, Calif.
Jose Juarez, Chula Vista, Calif.
Justin Morgan, El Cajon, Calif.
Chris Racan, Cardiff by the Sea, Calif.
Jano Montoya, Winter Garden, Fla.
Juan Sanchez, Chula Vista, Calif.
Schane Schorno, Discovery Baja, Calif.
R. Hank Salyer, Steamboat Springs, Colo.
Alexis Velarde, National City, Calif.